As a marque it’s growing in popularity (usually because their vehicles are ‘keenly’ priced) but Chevrolet have decent models in its line-up. 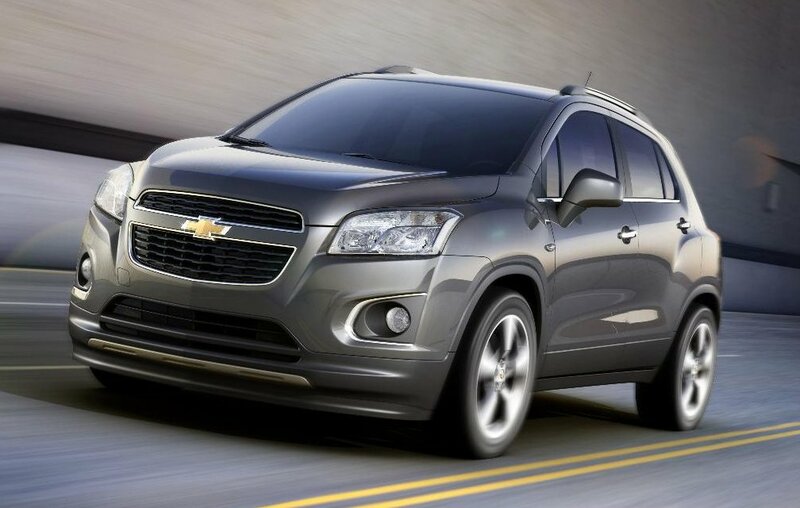 And, from September, they will be unveiling a new SUV called Trax at the Paris Motor Show. It will be sold in more than 140 countries and is an all-new small sport utility vehicle with room for five passengers and generous cargo space. Trax will start landing at Chevrolet dealerships in Spring of 2013, following the introduction of the all-new Chevrolet Malibu and the much-awaited new Cruze estate later this year. The firm is promising a vehicle that handles well off road and its interior will be of a type ‘usually found in more expensive vehicles’. If you didn’t know, Chevrolet is part of General Motors and sells more than four million vehicles a year, making it one of the fastest growing car brands. It’s vehicles are pretty good for the price, though I often find some of the interiors a bit ‘cheap’. So make tracks to buy the new Trax! This entry was posted in News and Views and tagged caption, car, chevrolet, Chevrolet dealerships, Chevrolet Malibu, chevrolet trax, General Motors, LS, MoT, Paris Motor Show, price, S line, Sport, SUV, the Paris Motor Show, Trax by Steve Lumley. Bookmark the permalink.